Hurry! Our storage promotion ends soon. Call Jakub At (587)764-0119 Or reserve/rent now. Clean, secure, and affordable, we're the solution to your storage problems! 857 storage units in a variety of sizes to meet your warehousing needs. Our storage facility is fully illuminated at night. Our non-conventional solid steel doors swing open for ease of access & convenience. Have too much stuff? We have a place for your stuff! Locally owned, Place For Your Stuff offers a variety of sized self storage units to suit your personal needs. At Place For Your Stuff, we understand that when you store away your personal belongings, you are trusting us with more than just your possessions but a lifetime of memories and items of sentimental value. For this reason, we guarantee our storage units to be safe, secure, and clean. 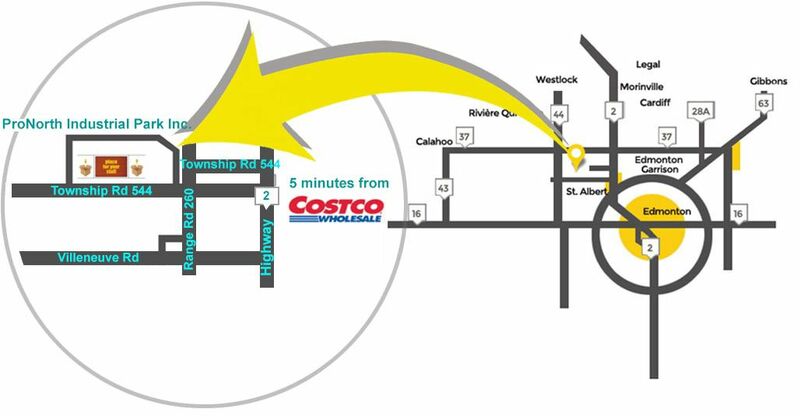 Place For Your Stuff self storage facility is located at 50 Elliot Street, Sturgeon County, Alberta, with direct access to Hwy 2. Situated 5 minutes North of St. Albert, 10 minutes South of Morinville, 15 minutes West of the Garrison Military Base, and 30 minutes Northwest of downtown Edmonton, we service all surrounding communities at affordable prices. With the convenience of online registration and payments and 24/7 gated access, we are confident we can satisfy your self storage needs. For more information, check out our self storage FAQs and gallery. We have been renting at a Place For Your Stuff for over 18 months and have been extremely satisfied with our decision to do so. The rates are reasonable, access to our storage unit is easy, we have had no security issues and the unit itself appears to be sealed well as there is little or no dust on our boxes. We will continue to rent from you indefinitely and would not hesitate in recommending your facility to our friends and family. Couldn’t find any better storage facility in my opinion. Signing up was super easy, very clean state of the art cameras and security makes you feel at ease storing your stuff. Have recommended it to anyone who needs storage. Hurry! Our self storage promotion ends soon.